Terror has a face and it moves under the ominous black flag of ISIS. Under each of its denomination, whatever the language and whichever the angle, terror today, has found a powerful vessel in the ideology carried by Wahhabism – the fountainhead of radicalism and religious extremism. An evil onto the world, ISIS miasms have darkened the skies of Arabia, threatening to engulf regions and continents in their deadly and godless embrace. Before ISIS, no communities can claim shelter, no faith stands immune and no man, woman or child can hope to survive. At such a time when terror is being debated in the public squares, its ideology dissected and its methodology studied; as experts and world leaders have scrambled to make sense of the nonsensical and thus find means to combat a movement rooted in hatred and blood, men of faith have stepped out of the shadow to reclaim God and reclaim Religion. It all started with one man and a universal message of peace. In October 2013, Dr John Andrew Morrow published a book, “The Covenants of the Prophet Muhammad and the Christians of the World.” Meant as both a testament and a witness to Islam’s commitment to interfaith solidarity, Dr Morrow’s book found a deep echo among Muslims and Christians. A bridge in between communities and a reminder of sacred oaths spoken long ago, The Covenants Initiative was born under the impetus of men such as Dr Morrow and Charles Upton, a light shone forth against the darkness of radicalism, a shield against the evil of war. As words quickly spread and as more gathered around the Covenants Initiative, a plan began to form – one which would see men of all faiths come come together against takfirism. 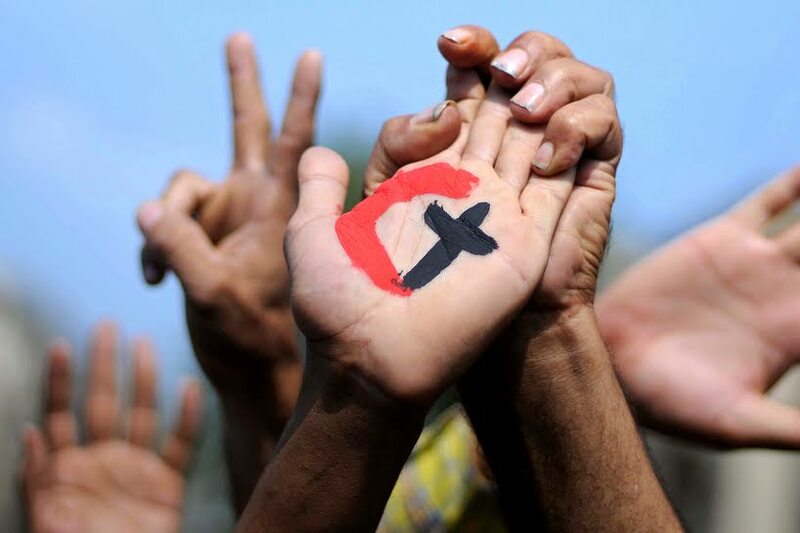 Today, under the impetus of the Covenants Initiative and thanks to the courage of countless Muslims and Christians, a movement is being born – one which will fight evil with what is better, one which will answer violence with solidarity and unshakable resolve. Today Muslims and Christians have said to be ready to break ISIS where it stands and denounce its deeds for what they are: religious genocide. Yes..more Muslims and Christians should realise that they have more similarities than differences and that they should unite against the common enemy ISIS.